It's always hard to connect with characters in a novella, since everything seems a little rushed. That being said, I liked the premise of The Island: a dystopian society ruled by children that ultimately came into being because of a Star Wars story. The idea may seem a little bit ridiculous at first, but it is certainly unique and managed to pose several important philosophical questions about knowledge, societal constructs, and independent thought. 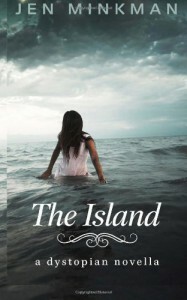 Overall, The Island was a quick but interesting read. It worked well as a novella, however I can't help but wish that it had been a little bit longer, if only to leave room for further character development and a more in-depth look at the society that the Fools had built.